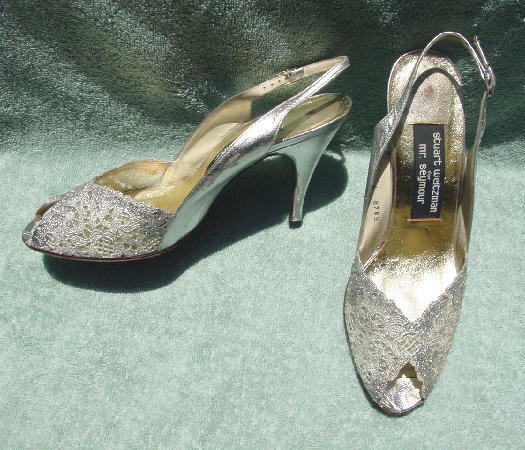 These vintage silver metallic lace and silver lame leather peak toe slingbacks were made in Spain by Stuart Weitzman for Mr. Seymour. 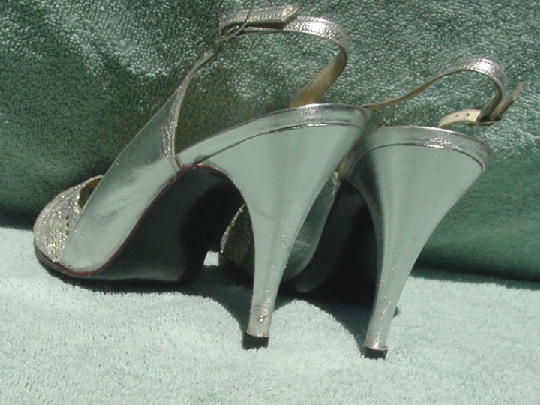 They have elongated silver-tone metal buckles and new rubber heels. There are bone leather linings and somewhat faded champagne color lame insoles. 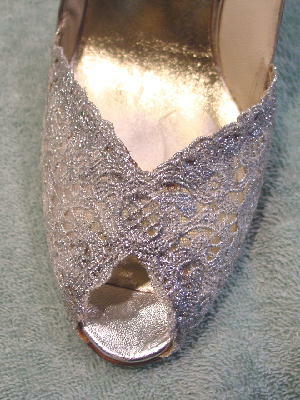 The soles are leather and the toe beds are silver lame. The left shoe heel has a ding. The shoe says 7 B.